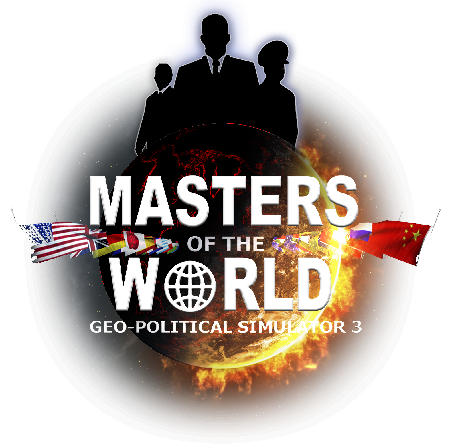 The various versions of Geopolitical Simulator are already widely used by the education sector, since this extremely realistic simulator of today’s world helps students understand how it functions in many fields, including the economy and politics. The game includes over a thousand actions that a head of state can perform in the fields of politics and economics, but also in budgetary, financial, military, security, cultural, and other areas. -ongoing game support, personified by a professor of geopolitics, who explains to the player the game’s major functional mechanisms for politics, economy, and strategy, and also alerts the player to problems that need to be solved in his or her country and the actions that can be taken. -an update on January 1, 2013 with over 600 data elements for each of the 175 playable countries, including the political makeup of governments and legislative bodies based on the latest elections, the latest estimates for budgetary deficits and debts, countries’ ratings with rating agencies, growth estimates for the next 40 years, etc. Purchases of the versions for the educational sector will receive significant discounts based on the desired number of versions.